Isla Contoy is a small island in the Mexican state of Quintana Roo, approximately 30 kilometers north of Isla Mujeres. The island is only 8.5 km in length and has an area of 3.17 square kilometres. 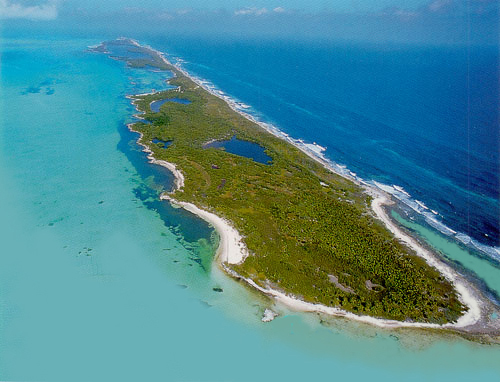 Since 1961, Isla Contoy is protected by the Mexican government and declared a National Park in February 1998. The island is jointly run by the Isla Mujeres-based Non-Governmental Organization, Amigos de Isla Contoy A.C. and the Secretary of Environment, Natural Resources and Fishing (SEMARNAT). Supervised eco-tourism and regulated commercial fishing is allowed on and near the island. Only a few tour companies have permission to bring the only at maximum 200 daily visitors to Isla Contoy. Visitors need to apply for permission to visit the island at the Park offices in Isla Mujeres or Cancún. Four species of turtle find a safe haven for nesting on the beaches of the island, namely the loggerhead turtle, Green turtle,Hawksbill turtle, and the leatherback turtle. The reserve is also a sanctuary to approximately 152 tropical marine birds, like thefrigate bird, brown pelican, and the double-crested cormorant. The Tulum archaeological site is relatively compact compared with many other Maya sites in the vicinity, and is one of the best-preserved coastal Maya sites. Its proximity to the modern tourism developments along the Mexican Caribbean coastline and its short distance from Cancún and the surrounding “Riviera Maya” has make it a popular Maya tourist site in the Yucatan. Daily tour buses bring a constant stream of visitors to the site. 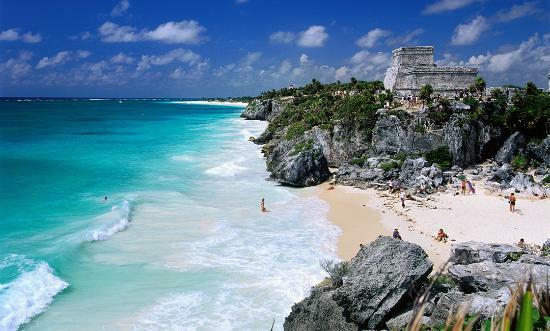 The Tulum ruins are the third most-visited archaeological site in Mexico, after Teotihuacan and Chichen Itza. It is popular for the picturesque view of the Caribbean and a location just 128 km (80 mi) south of the popular beach resort of Cancún. The tourist destination is now divided into four main areas: the archaeological site, the pueblo (or town), the zona hotelera (or hotel zone) and the biosphere reserve of Sian Ka’an. A shark fence extends across the lagoon’s entrance, and the public is permitted to swim and snorkel in the lagoon. Underwater the limestone has been eroded into a myriad of smallcaves and grottos. 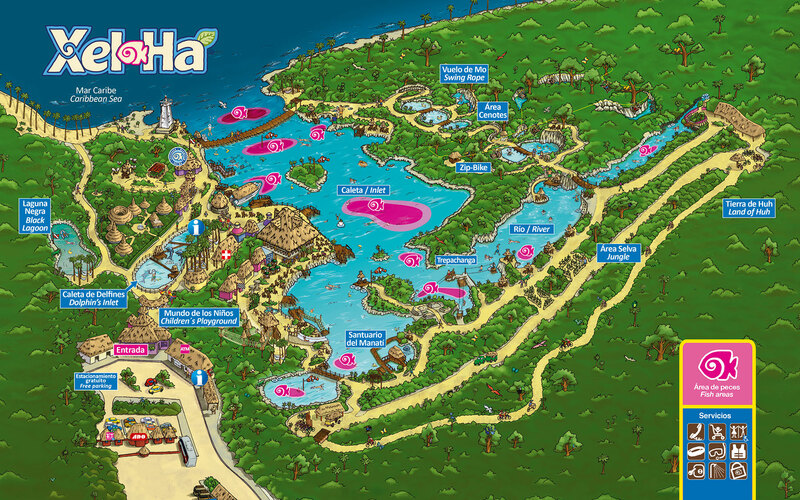 The nature-based attractions of the park include a river that goes through the Mayan village, a subterranean concrete sluice in which people can swim and snorkel with a life vest. Near the inlet there are recreational activities at the beach, snorkeling, Sea Trek and Snuba in the nearbyreefs, or swimming with dolphins. The park also has a coral reef aquarium turtle nesting site. Next to the inlet there’s an area for manatees. The park also has a bird pavilion, butterfly pavilion, bat cave, orchids and bromeliad greenhouse, an island of jaguars, and a deer shelter, among others. The cultural attractions are include an open church, replica of a Mayan village with real artisans at work, a Mexican cemetery, a museum, an equestrian show, Mesoamerican ball game, an open theater with performances of pre-Hispanic dances, Papantla flying men and the Gran Tlachco (theater with a six thousand people capacity) where the Mesoamerican ball game is represented, as well as the meeting of two worlds, the Mayan and the Spanish, and the presentation of several Mexican folklore dances. 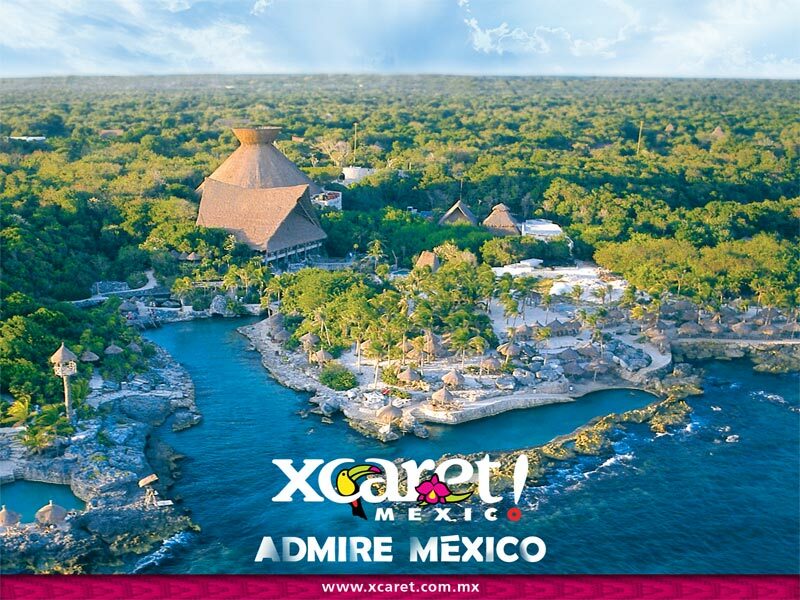 Other demonstrations of Mexican traditions include Day of the Dead celebration and the “Travesía Sagrada Maya” (Mayan Sacred Crossing), an annual rite when Mayans would cross the sea from Xcaret and Playa del Carmen to Cozumel to pay homage to the lunar goddess Ix Chel. The modern version is a re-creation of this rite done in late May to early June. The park also has a Temascal and Spa, has 11 restaurants, dressing rooms, souvenirs and handicrafts stores, as well as an adjacent all-inclusive resort hotel. Chichén Itzá, a UNESCO World Heritage Site, is the second-most visited of Mexico’s archaeological sites. The archaeological site draws many visitors from the popular tourist resort of Cancún, who make a day trip on tour buses. 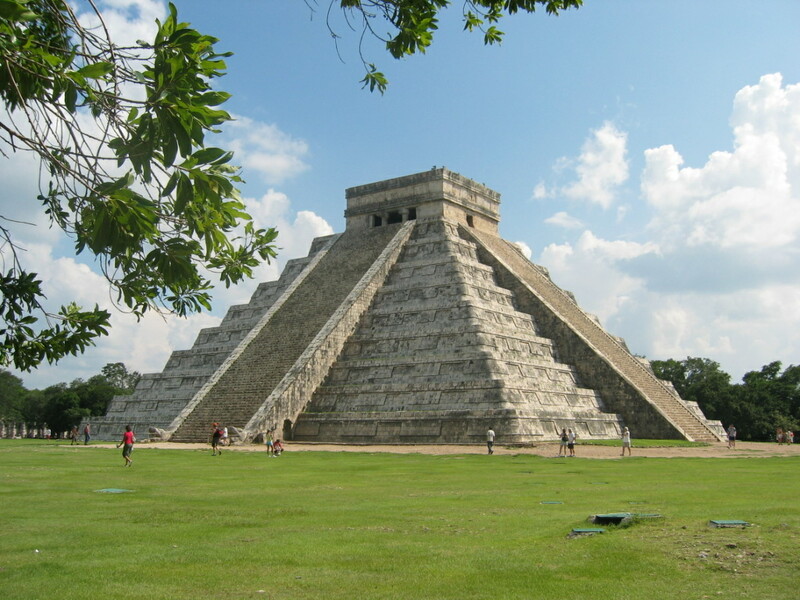 In 2007, Chichén Itzá’s El Castillo was named one of the New Seven Wonders of the World after a worldwide vote. There are hourly rides to and from Playa del Carmen, costing about 156 pesos ($13.50 USD) per adult each way. 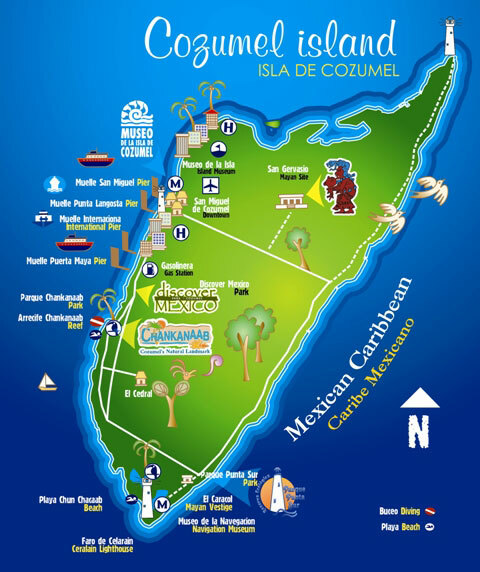 There are two companies, so buy a single ticket because you may need to use the other ferry company coming back and the tickets aren’t transferable (two one-way tickets cost the same as a return anyhow).Most visitors travel to Cozumel to dive and see its wonderful underwater life. While there are quite a few beach clubs that offer snorkeling, the main attractions are the reefs offshore and the multiple dive shops and operations are always ready to take you there.The main town, San Miguel, and dive operations are on the west side of the island, but if you rent a car or scooter then the east side of the island is the place to go. The east side of the island is mostly undeveloped, but there are beautiful beaches, big waves, and rocky outcrops over the ocean. If the waves are sufficient you can find a few small blow holes. (Be aware that the waves and attendant undertows can make swimming on the east side very dangerous, however.) You will also find a restaurant on the beach every few kilometers.Cozumel also offers several Mayan archaeological sites. The most extensive vestiges are those at “San Gervasio” (admission fee is 77 pesos), an inland site a few miles north of the “Carretera Transversal” highway. Another site is located near the village of El Cedral, inland from the “Carretera Costera Sur” highway. In Punta Sur Park, at the southern tip of the island, there is the “El Caracol” temple, believed to have been used as a lighthouse by the Mayans.SCUBA DivingCozumel is one of the premier scuba diving destinations in the western hemisphere. The island abounds with dive shops, most willing to give you a scuba class (resort course) and take you out if you are not yet certified.